Again a New High-End Tablet Invented By Hyderabad Teens develop PC !!! A first year engineering student Sareddy Chiman Prakash and another young man Nikhil have come up with a Tablet PC named Ave which is priced at Rs 12,999. Andhra Pradesh Information Technology and Communications Minister Ponnala Lakshmaiah launched the gadget here on Sunday. Prakash’s father's company, Sareddy Technologies, based in the UK is manufacturing the gadget. The Ave is a trendy Multipurpose Cyber Gadget powered by Android 2.3 Ginger Bread. The 7-inch tablet with compatibility zoom mode and the tablet supports Micro SD cards of up to 32 GB suitable for requirements of people belonging to all ages and professions, right from video games to astrology, sports to science, trivia to the latest trends. 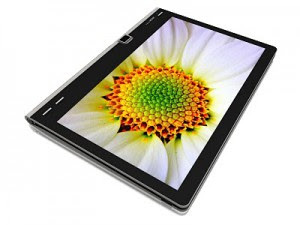 “What impressed me is the price of the high end tablet PC. To encourage these young men I even spoke with Union minister Kapil Sibal stressing the need to encourage such talent,” Ponnala said. Chiman Prakash was state chess champion (under 7 years) when he was only 4 years old. He also won four bronze and three silver medals in national chess championships. He stood fourth in the Commonwealth Chess Championship (under 12 years). When he was in 8th standard he started a gaming website and further developed into Gameshoppe.com. He tried to reduce the cost of the games by utilising Java and direct gaming without the need of Xbox. “I am now working on manufacturing Home Theatre glasses. It will be 62 inches with 32GB capacity. Then my favourite project will be to completely stop video piracy. The software will be ready soon,” a brimming Chiman said.